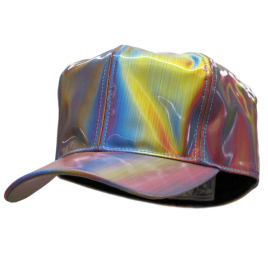 For the longest time, the only lenticular hat available for the time traveling cosplayer left a lot to be desired in terms of screen accuracy. This one gets it right, constructed with input from the fan and cosplay communities to insure it's the most accurate cap you can get short of the actual prop. Details like a proper shape, lenticular material under the brim, and the correct color stitching make this a big improvement over the other commercially available options out there. If you're planning to go backwards or forwards in time, this is the hat you want.